One of our past Consignor of the Week recipients has done it again! 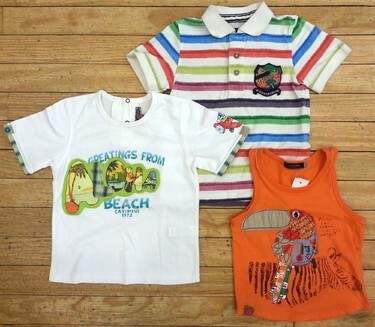 Consignor 745 just brought in a giant bag full of amazing toddler boy items! As always, her items are highly fashionable and in the best condition! Hurry in now, because these items are sure to be snatched up quickly! All shirts shown are either a size 3 or a size 4/5. Most are just $12.99! Lots of polos! Even more than pictured, and in a variety of sizes. Button down shirts! Even more than pictured! A couple of hoodies for those cool summer nights.